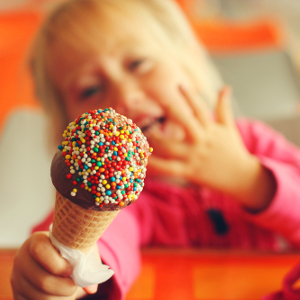 Can you ignore your sugar cravings? Or your desire to have a treat – right now? Or your temptation to give up for today, and restart your diet again tomorrow – or on Monday? I really struggle with this – despite being a low-carb evangelist. I have written hundreds of blog posts about dieting. I know all the theory, all the best tips, all the right methods. And yet I still manage to mess it up – more frequently than you’d think. I have recently discovered a simple mind hack for better self-control. The trick is to think of myself as two selves – a “parent self” and a “child self”. This is just a metaphor to simplify and understand our complex behaviours. Inner-child work is often used in therapy. But you can apply it to dieting or any other personal challenge. My parent self – let’s call her Margaret – is grown-up, sensible and practical. She wants to be slim, healthy and confident. She is focused on her long-term goals. Margaret knows what she is supposed to do in order to lose weight. My child self – let’s call her Daisy – is probably about 4 years old (I think!). Daisy always wants to eat more. Daisy always needs a treat. Otherwise, she wails loudly and kicks up a fuss. Long-terms goals don’t exist for Daisy. She wants what she wants – right here, right now. Margaret manages to stay in control most of the time. But sometimes Daisy also gets her way. Margaret knows her diet is a long-term challenge. But Daisy keeps demanding rewards for being good. Otherwise, “it’s not fair!”. So Margaret gives in – against her better judgement. Is Margaret too lenient? Or maybe she tries to be too strict – so that Daisy rebels? Perhaps she just hasn’t found the right way to interact with Daisy. Is Daisy greedy or naughty? She is not. She is just a child with zero impulse control (perfectly normal at her age). What would you do if a small child demanded a whole packet of cookies? Or three slices of chocolate cake? You wouldn’t just give it to them. You know it’s not good for them. As a parent, it’s Margaret’s responsibility to control Daisy. She is simply too young to do it for herself. 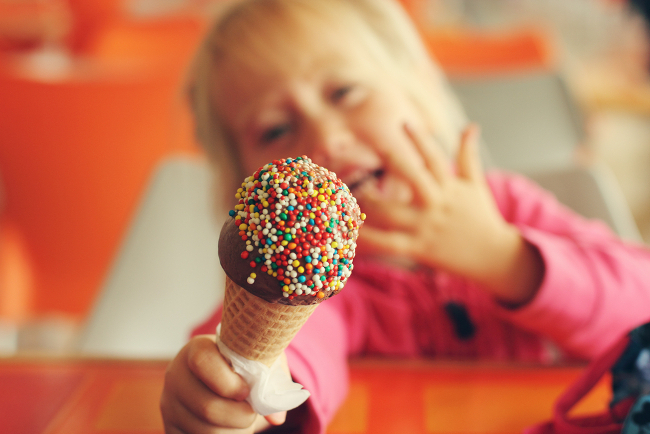 The first step is recognising that your food cravings and impulses are like those of a child. They are not always rational, sensible or justified. So, treat them like you would treat a child. Remember – your parent self is in charge. Don’t chastise or shame your Daisy. Her behaviour is perfectly normal for her age. Be gentle, loving and accepting. At the same time, be firm. Love is not about always giving in. Learn how to say “No” to your Daisy – firmly and clearly. She might wail and shout that it’s not fair. But that’s just a child throwing a tantrum. Distract your Daisy with something else. Maybe she would like to play, dance, or watch a movie instead of eating? Find other ways to reward Daisy for being good – not by giving her naughty food treats. Is there something pretty, joyful or fun she would like to have? Look after your Daisy – make sure she is not bored, tired or upset. Once your inner Margaret learns how to interact with your inner Daisy, they will both be much happier. You will control your impulses better, and breeze towards your ideal weight. Would you like to find out more about willpower and self-control?